Salary is an important consideration on both sides of the employer/employee divide. Employers need to ensure they recruit – and, most importantly, retain – the best people for the roles they require, which means offering the right salaries; while employees have to make sure they are being paid the correct amount for their skills and experience. One of the first things you need to do when looking for a new job is to establish what salary range you should be getting for the positions you’re looking for. Of course, salaries differ widely across the country. What is on offer in Paris or London will usually be considerably higher than that offered regionally, and you need to be aware of this before you start. Whatever the role you are looking for – whether it’s a technical role, operational management or one of the many other roles in the Print and Packaging industries – you should be able to find up-to-date, country-wide salary ranges with the most cursory of internet searches. Some of the job search websites will have the information you are looking for. Alternatively, try industry or trade sites. Once you have an idea as to the general range on offer for your chosen role, you will be in a much better place to negotiate when and if you are offered a job. But any negotiations need to be handled carefully as you don’t want to stop a job offer in its tracks. 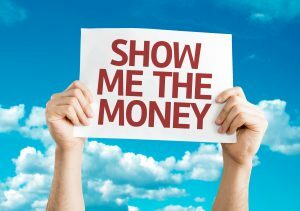 Don’t ask about salary at interview stage – wait until you are offered the position. When mentioning your salary requirements to a potential employer it is useful to quantify your value relative to your achievements. It could be how much profit you have generated or how much money you saved your company. If what you are offered is too low, say so (politely) – it helps here if you can state what the usual salary for the job/your level of experience is. Ask about additional perks, such as a company car, and also about your expected level of responsibility, so you get the whole picture. It is worth considering things like additional training and education and whether you could be funded for further study. Unless the offer is exactly what you want, don’t accept it straight away. You need to make sure you are 100% happy with the complete package. If all else fails, and you really don’t want to take the job at that salary, say so. If you are introduced to the hiring company by a reputable recruitment company they will handle salary negotiations on your behalf to ensure that both parties are happy with the deal that has been struck. Employers should really be offering the best candidates appropriate salaries at different stages in their careers. You wouldn’t expect someone to take a pay cut in order to undertake more responsibility. Don’t ask the candidate what they are currently earning – you should have an idea from their CV, but probing into what they earn is intrusive and unreliable, anyway (who’s to say they will tell you the truth?). Make sure you are offering a competitive salary, which is attractive enough in the sector to secure the right candidates, without causing internal issues within your company. The salary you offer should be based upon the value you perceive the employee will add to your business and not based on what they are currently earning. Also make sure you give prospective employees the whole picture before talking salary including prospects, the challenge of the role, and other benefits. Prepare to be at least a little flexible. This has got to work for both parties. You need to factor in the likely hood that the candidate will get counter-offered by their present employer. Make sure that the role and salary package are sufficiently enticing to ensure that they don’t decide to stay where they are. There is nothing more frustrating than an offer being rejected at this late stage.